For me, one of my favourite things about pregnancy is beginning to buy baby clothes. 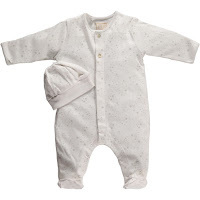 Having had a newborn once before I know how fleeting this time is and looking at the tiny babygros gives me a mixture of excitement and slight fear that something can be so small. 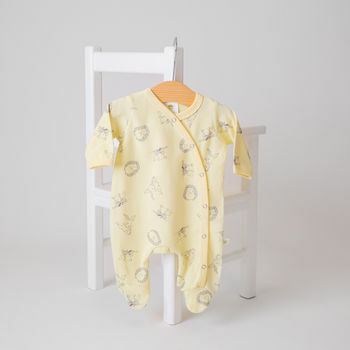 We're once again team yellow and although I still have some bits and pieces left over from when we were expecting Ava, I of course want to buy this baby some new bits of it's own. I've had so much fun trawling the internet looking for cute little pieces, they are honestly too gorgeous not to share! 1-John Lewis- I saw this cardigan in store and instantly fell in love with it. I'm a huge fan of grey, it's so versatile and the material was so soft! And what's not to love about the cute little zebras! 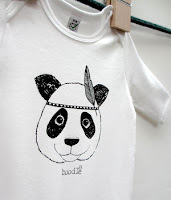 2- Boodle- I do like a bit of monochome and thought that the print was just irresistible. 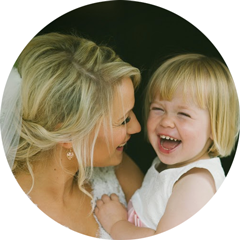 I know that Ava would think so too. It's also made from organic cotton making it eco-friendly and super soft! 3- Emile et Rose-Again, another grey number! Ava had a couple of pieces from Emile et Rose and they were so beautiful. Although this babygro is technically from the boys section, I think it's so sweet and simple and would be pefect for either gender. Especially the little hat! 4-Cows & Kisses-You can't beat a little slogan tee and Cow & Kisses have such cute ones. I found this one whilst doing my usual Not on the Highstreet trawl. 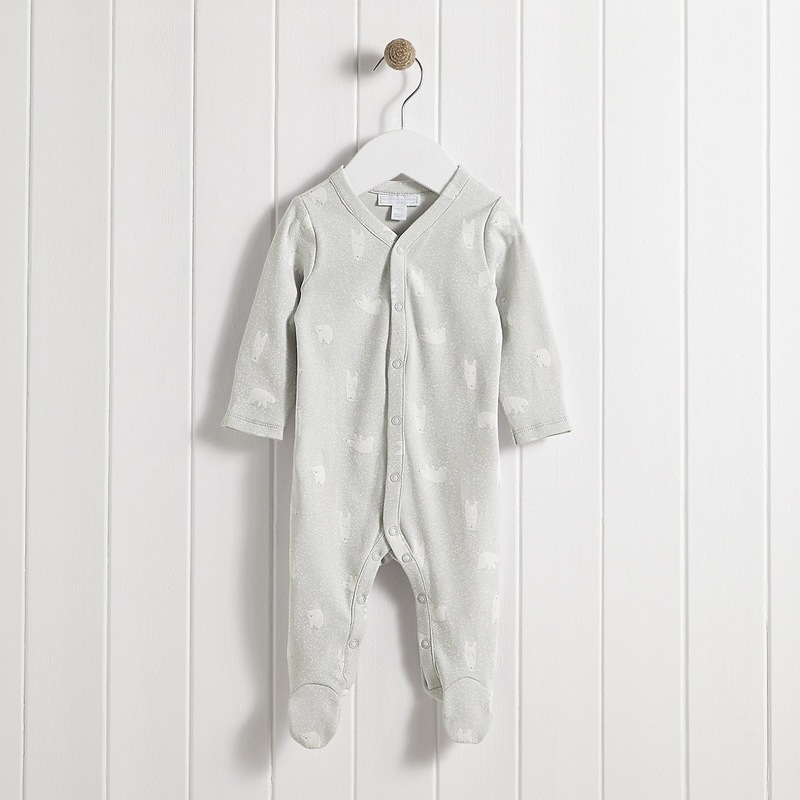 5-Baby Acorn-I'm completely in love with this baby gro, Baby Acorn (another NOTH find), do the sweetest babygros. The colour & pattern on this one just drew me in straight away! 7-Ted & Co. Clothing- I mean who doesn't love a sweet little romper, and Ted & Co. Clothing really do make the cutest ones. It was hard to choose a favourite but the lion pattern makes this one extra adorable! 8-Organic Zoo- Another slogan top, Organic Zoo is where it's at for uber cool, unisex clothing. I'm seriously obsessed with this top. 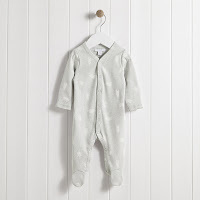 9-Little White Company-This is another simple, but super sweet baby gro. It looks so soft and cosy. 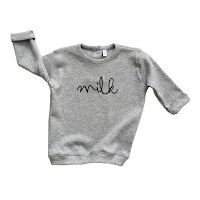 I'd love to have this in baby's wardrobe. 10-The Essential One-I've always heard such great things about The Essential One's products. These are so lovely. I love the design on these! Do you know of any great unisex brands? I'd love to hear your great finds!